Hello there! Hope you are having a great first month of 2017 so far. I am so excited to be sharing projects and new products with you today, especially because I’ve been waiting to spill the beans for so long!! Altenew just released a bunch of hot and fresh stamps, dies, and inks – and TWO of the stamps are designed by me! Woo Hoo! 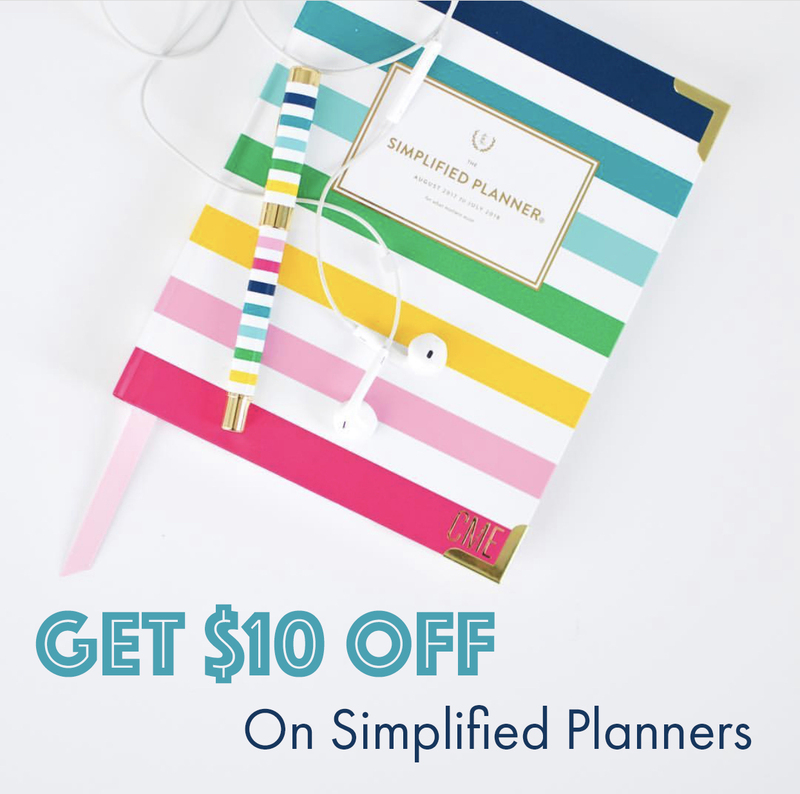 If you know me well and follow my Instagram – you already know I am a planner lover. I’ve been searching for the perfect planner stamp in the market and couldn’t find anything that really spoke out to me. What a girl to do? I went and designed not only one, but two! 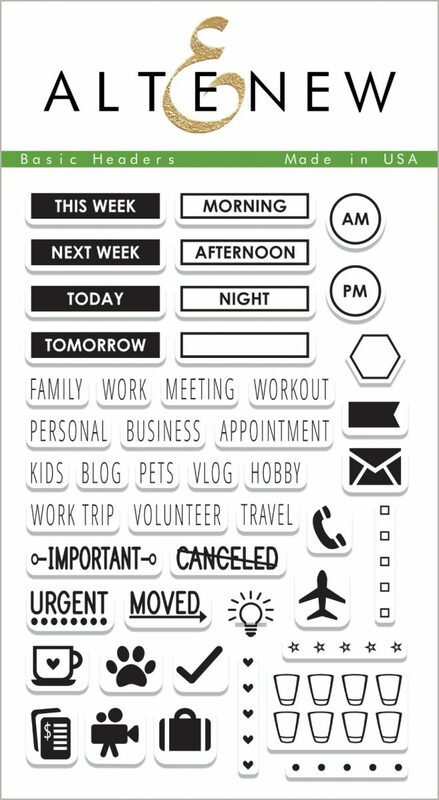 This Basic Headers stamp set (on the left) focuses on very simple and basic things you would use in a planner. I thought really hard to create something clean so it can be used on all sorts of planners, journals, notepads, and diaries. Also, these designs fit any hand-writing styles perfectly! I will share a planner set up video soon (once I get over this horrible cold) so you can see this stamp set in action! The Basic Borders stamp set (on the right) is not only great for marking multiple days in your monthly calendar (like vacations, business trips, special days, etc) but also great for scrapbooking and cardmaking. This card was made using the Basic Borders stamp set along with the Label Love stamp set. I partially stamped the heart border image to create a focal point. Some hearts are even upside down to create some interest. These images were stamped using the new ink colors, Sunkissed, Bamboo, and Limestone. 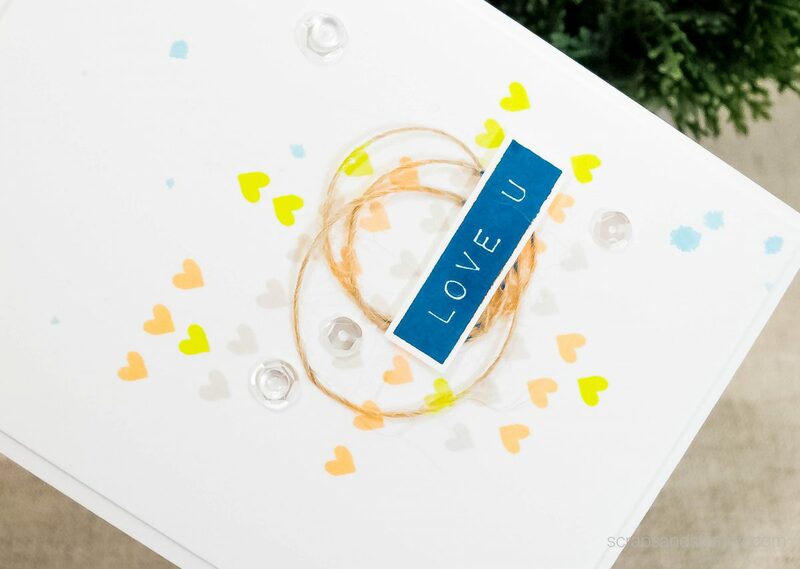 Then I stamped the “Love U” sentiment from the Label Love stamp set using the Dusk crisp dye ink, cut it with some white border and mounted on the card layer with foam tapes. To add some fun final touches, I added a natural twine, clear sequins, and clear droplets. See those blue splatter in the background? I used the Dusk re-inker and clean water and splattered it over the card layer. So much fun! This card was created using the Basic Header stamp set. Yes, you can use the planner stamp set on a card! Isn’t this so cute? 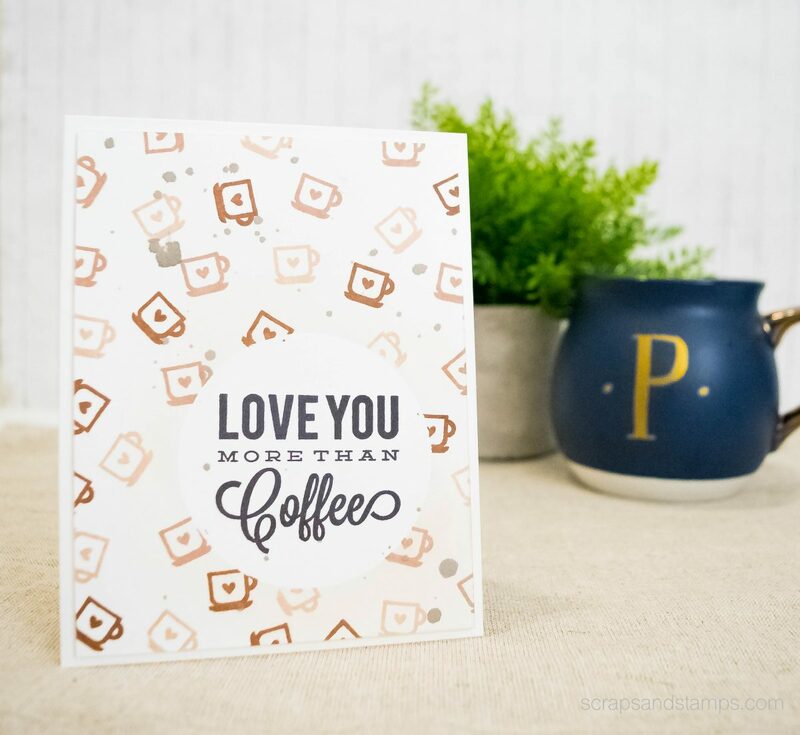 I paired it with the Coffee Love stamp set – mixing and matching different stamps can certainly maximize the use of them. I just love how this turned out! Using the circle mask on the card layer, I first stamped the coffee mug image with the Coffee Break ink set to give a various shading effect.Then I removed the mask and stamped the sentiment using the Jet Black crisp dye ink. I also added some gray splatter for a coffee stain look. I hope you enjoyed checking out these projects using my very first stamp sets! It was nerve-racking trying to figure out how to make my ideas come to life, but I am so happy with these. I hope you are as well, and I cannot wait to see what you create with them. Giveaway #1 — Enter for a chance to win a $30 gift certificate! Leave me a comment below by sharing your excitements on this new release! I will announce a lucky winner on Feb 4th, 8am EST. Congrats, Nandini!!! You are the lucky winner of the giveaway! (And thank you for your lovely comments!) 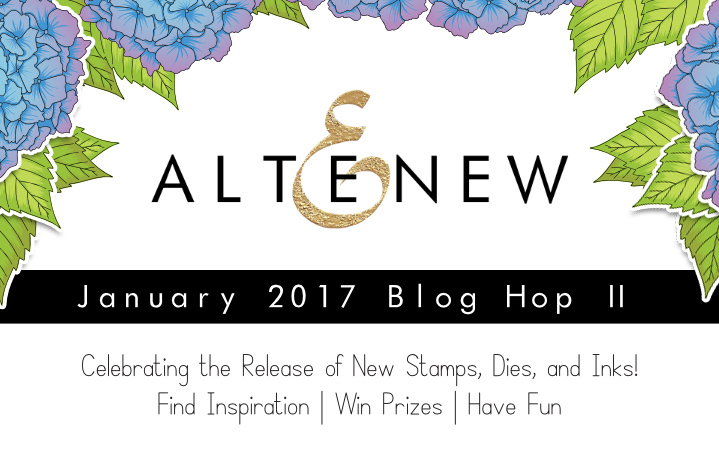 Please email Altenew at winner@altenew.com with a subject “January Release Blog Hop Winner From Nicole’s Blog” to claim your prize! Giveaway #2 — To celebrate this release, Altenew is giving away a $50 gift certificate to THREE lucky winners! Please leave a comment on the Altenew blog by Thursday, February 2nd at 11:59 PM EST for a chance to win. The winners will be announced on the Altenew blog on Saturday, February 4th. I am participating in a special blog hop to celebrate this fun release! 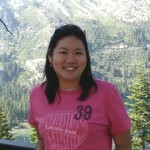 Next stop on the hop is the amazing Marika, and you can check out the full blog hop list below. I really appreciate the simplicity of your cards! The sentiment is on the spotlight then! Gorgeous work! You know when I seen these stamps I could not get a grip on them, you have help me see them in a different way thanks. I like your coffee card… great use of tiny stamps! I love the simple cards, but even though these are simple, they are stunning, love them. These are so pretty and I love the CAS look of them. Very nice CAS cards!I particularly like the coffee one 🙂 Thank you for the blog hop! Two creative using small images wonderfully! Love your cards – especially the Love U one. Great use of small images. Thanks! These are such fun and creative designs! I really love the softness of your colors too! Thanks for sharing! Very nice cards. Thanks for the inspiration. Super cool cards Nicole. Love the backgrounds with those sweet images. Cute and fun cards!! Love how you created backgrounds with the small stamps. Something I always forget to try and do!! Great inspiration. Good use of planner stamps for alternate purposes. I love theses stamps. They would be great in my planner! Love your cards! Congrats on the stamp set designs! Great cards! Love the borders! What Agreat other way to use planner stamps.Love this release. Love your cards, simple and beautiful. So fun to see what you can do with these two stamp sets. I didn’t have a clue, so thanks for your ideas!! Awesome cards! Love the coffee card…so much fun! Love your coffee card, they always make me smile! Thanks for the chance to win. Love, love, LOVE your cards! Thanks for the chance to win! Congrats on the two new Stamp sets, they’re fabulous. I especially love the new border set and can see lots of designs with it! Congrats! Love both your sets. Though I don’t use stamping in my planner, I love your Basic Headers set since it has a beautiful font, really useful words and very cute smaller images which will be great for creating backgrounds. This is such a practical set that I might actually start using stamping in my planner! I loved the Basic Borders set too since it has the perfect elements for creating lovely cards and tags. I loved the cards Erum has created on the shop page. Congrats again for designing such lovely sets. I hope you are planning many more in the future! Thank you for sharing your talents on the blog hop!! Love the clean simplicity of your cards! They look quick & easy – still pack a punch. Love the little coffee cup background & the teeny hearts. Both cards are always awesome! 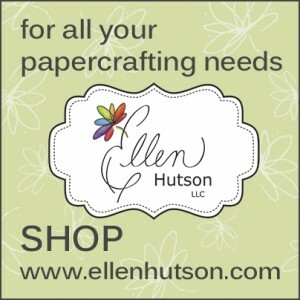 Sweet and simple….love your cards! Your cards are adorable! I love how you used the hearts border! Feel better soon! of course I am totally excited about the new release!! I have only recently discovered Altenew and am in love with the designs! Oh to have to choose…because these wonderfully designed sets are a must have too-whether for a planner or creative cards like yours. Oh wow, that is indeed great news! Big congrats, you must be so proud of these great sets! These cards gave me some new ideas. Thanks! congrats. what fun sets for planners! Congrats on your sets. Wonderful images and words. They look wonderful on your cards. What a clever girl you are! I haven’t broken into the planner scene but I love the stamps you designed. They work beautifully for cards as you have proven here! Nicole, your cards are amazing and of course I love the new stamp designs! This is my first time going through all the bloggers for this blog hop and I’m so glad I did! Ideas are racing through my mind now! Only downside is: now I want ALL the stamps! Such a great idea using the planner stamps with cards! Clean and simple conveys so much. Love these cards. Keep up the great work. Thanks for the ideas! I love the planner stamps! I can’t wait to get my hands on them. Beautiful cards, I love one layer cards. Wonderful BG using the tiny coffee cup image. The small scale of these images really make them quite versatile. Congratulations on having your designs published! Woohoo! Love your cards! Terrific cards, I love the background you have created! Cute cards. This release is fabulous. Thank you for the inspiration. Very nice clean and simple cards. love your creativity Nicole – wonderful release! Sweet cards! Love the repeated stamping of small images! Congrats on your stamps that you designed! What fun. Your cards are really cute, too! This release from Altenew is fantastic and the blog hop has been filled with lots of inspiration. Thanks! Very cute cards. I like how you used the small stamps. Cute cards. I love this new release! Loving these two cards – the coffee one is so cute! I love the simplicity of the first card – everything on the card is just enough it looks so fresh and modern! Love your cards Nicole! I am excited about the whole product release, my favorites are the floral designs, they are so pretty, but all honesty I wish I can get them all! Thanks for the inspiration, have a lovely day! Pretty cards, super CAS, love the first one! What cute cards. Love your ideas. Congrats on your first stamp release! You did good! Thanks for sharing your cards and for the inspiration. Your cards are clean and simple but still show off your talent. Altenew is so amazing! Love your simple but perfect designs. What a fun way to use these stamps – love your designs! Congrats on your 2 stamp designs! Really love your Basic Borders set & the matching card! This is such an amazing release & there is so much I’m adding to my wishlist! Congrats on the new venture as a stamp designer! I love your cards, they are so cute. I love the way you used the different stamp sets, and congratulations on your designs. I really like them and just might have to put them on my must-have list! Lovely cards with stamps form a wonderful release. Cute cards. You made good use of small, simple images to create fun cards. The tiny stamps are sure versatile and of course they are great for planners! Love what you’ve done with them on the cards. Loved your color choices on card #1. Thanks for the chance to win! Fun cards. I was stumped for ideas looking at those sets. Clever backgrounds–they match the sentiments well. This release is just incredible. It’s all on my “wish list”. Just luv that coffee card! Simply awesome cards!! This release has so many awesome elements to it and i need most of them! LOL TFS! Gorgeous creations! Thanks for sharing them with us! Your coffee card is adorable! Both your cards are super cute! 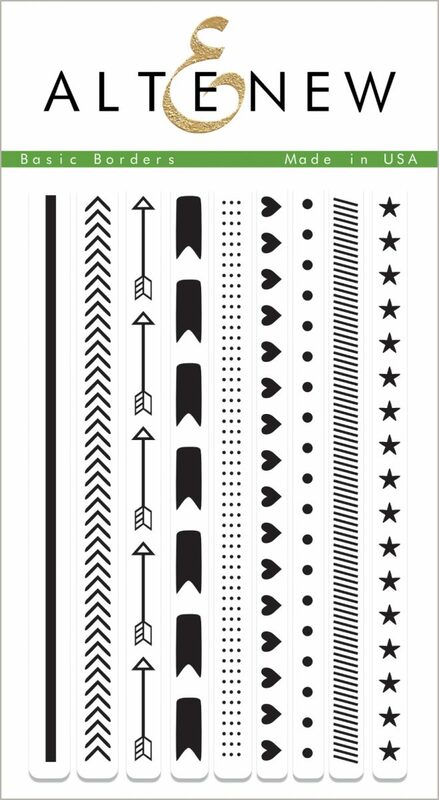 Your stamp sets just went on my must have/need list – perfect for the planner and for cards! I like the use of white space – the coffee card is my favorite! So lovely! !I love the elegance of adding a simple sentiment and allowing the background to speak volumes. Who knew a planner themed set could add so much to a card?! I haven’t gotten into the planner craze as I still use my Filofax and keep it simple. LOL This Altenew release has been so fun seeing all the different ways to use the release and adding to my wish list! 🙂 Thank you for your inspiration and opening my eyes to different ways to use stamps. Thank you also for the chance to enter your giveaway! Congratulations on your two stamp set designs! Great cards with gentle, soft backgrounds that focus on the sentiments! Cute card designs. Awesome altenew release! Love the way you made backgrounds on your cards. These are really darling! Great cards!~ This is such a great release by Altenew! I just love to start my weekend off with a great blog hop like this one! Thanks for sharing your talents and inspiration! What cute cards and know you must be pleased & honored that 2 of the new stamp sets are your designs. Congrats!!!! Really Awesome!!! Love the twine!! I would love to see them used for their purpose for a planner but it’s fun to see them used for cards…with many other possibilities. Can’t wait for the planner set-up video. Congrats on designing your 1st two stamp sets!! I’m REALLY digging the versatility of your Basic Borders! Bravo Nicole! Love your new stamp sets! I don’t keep a planner but I do keep a travel journal a I think these stamps would be great fo that. I like the backgrounds you created with the small images. Clever sentiment on the coffee card. Beautiful CAS cards. Thanks for the inspiration. Very cool. Congrats on designing these. Excited about the release! Your cards are so simple, but beautiful! The elements in these cards are so simple but you have used them so creatively. You’ve given me some great ideas. Thanks for sharing your creativity. I really love the Halftone Circle Stamp Set. I just keep going back to it. I love your masking and heart stamping techniques. Thanks for sharing! What a great way to use journal stamps for cards! Awesome cards! Love your pretty color combo on the first one and the fun Coffee Love designs on the second! Fun cards – your stamps are such fun! It’s nice to see designs that are simple and elegant. I like so many of the new release sets and think you did a great job highlighting how they can be used. Congratulations on you two stamp sets! You did a great job! Love the cards too! These are adorable!! I specially love the coffee card; so cute! These are beautiful! Love the masking! 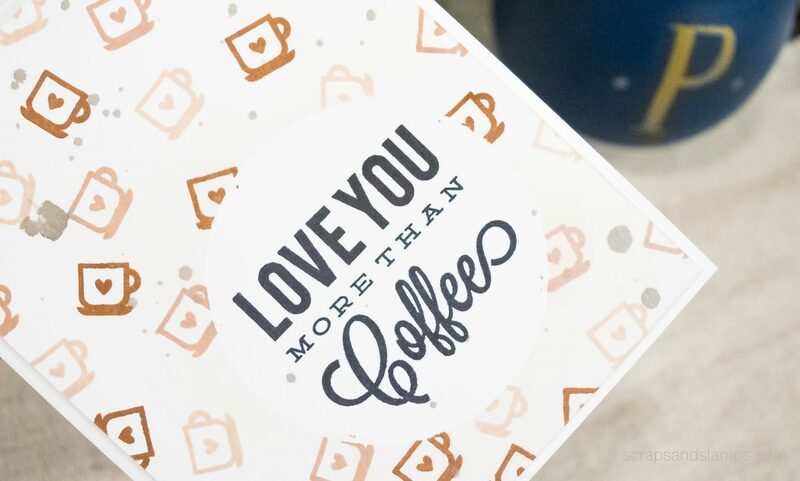 The Love you more than Coffee card is so fun! Using the small stamp as a background is a great idea. This is yet another fabulous release from Altenew with something for everyone. The sets you designed are great and really versatile. I’m looking forward to seeing your upcoming video. Great Clean and Simple cards! I love the use of negative space too! Fabulous cards, so fun and playful. Terrific stamp sets too – wonderful designs. Congratulations on your Basic Headers and Basic Borders sets! Love how you’ve used them for cards! I love this new release from Altenew. I hadn’t thought of using the planner stamps as a background for a card. So neat with the coffee background and then one with the hearts. Thanks for the inspiration. I really love the simplicity clean look Beautiful! Thanks for sharing. Congratulations on designing these stamps! This card is so clean and simple…. just the way I like to make mine too! The Basic Borders set is really nice. I can see tons of uses for it!! Congratulations – fantastic stamp sets. Very versatile. Congratulations! These are such great sets. I love that you showcased the borders set, but stamped just portions of it…that shows so much versatility (and I probably wouldn’t have thought it it!) Beautiful work! What sweet cards! I especially love the coffee cup background! Amazing cards, loving your design! Great way to use those little stamps. Congratulations on your new sets! It’s a wonderful feeling, you should be proud! Congrats on the stamp sets! The borders stamps are a definite must have! This release is great!!! Love the splash of color and halftone circles!! Cute cards! Love clean and simple cards and yours are show-stoppers! I haven’t gotten into planners yet but the stamps look very versatile for many projects. The new inks and stamps are amazing in this release. Thanks for sharing! Love the simplicity of your cards!! Your cards and stamp sets are wonderful!!! Love the coffee card as I am a coffee lover!!! Congratulations on creating your first stamp sets! I hope they do well. Great cards, Nicole. I love how the blue sentiment on the first card really pops it from the rest of the elements. The first and second stampings of the coffee mug really give the card some depth. Clean and simple but also lovely. Thanks for sharing. 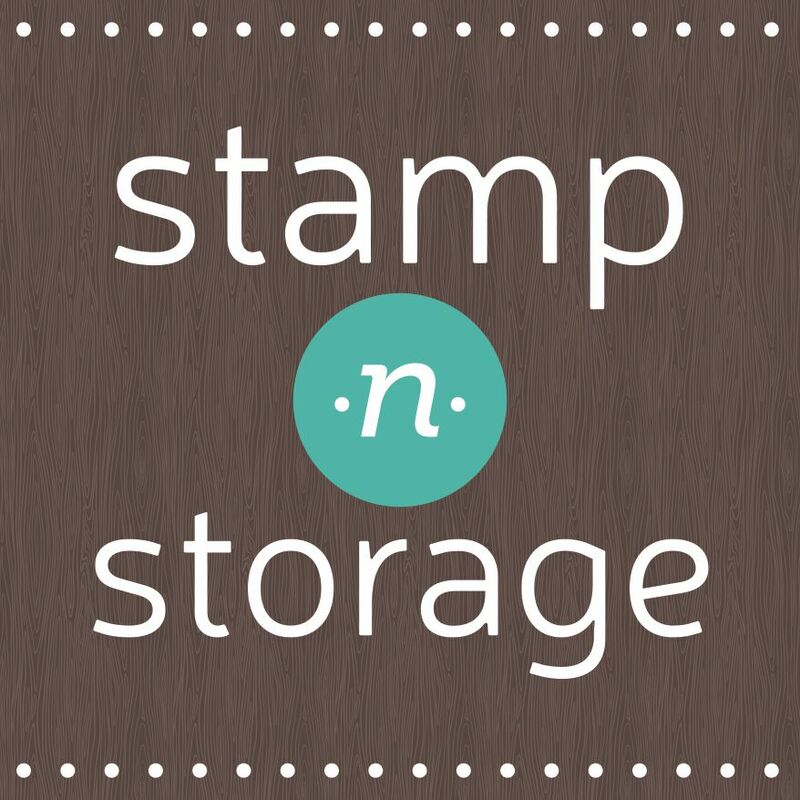 Congratulations Nicole, love your stamps and your cards! Congrats on these fun sets! They are great for planners but I love seeing them on cards too. Beautiful cards, love the clever ways you used the heart border on one and the cute coffee mug on the other card! I really like your planner stamp sets! I can always use a set of planner stamps. I like how you used them to create cards with – thinking outside the normal box for the stamps. The colors are fun as well. I’m definitely adding these sets to my list! I love your CAS cards. The new colors are fantastic. I’m picky about browns and those are great on the coffee cups. I love how you used the heart border stamp in your first card! I never would have thought to stamp them in a pattern going different directions like you did. Both of your cards are super fun! Love your planner stamps and I hadn’t thought about using them for cards as well! Thank you for the inspiration. WOW – EXCITING times – CONGRATULATIONS Nicole! Your stamps are so much fun, your cards ever-so pretty! Your cards are my favorite for simplistic elegance! Love them! Love your cards- I would have never tho’t of using the stamps in this way. I think I especially like the hearts. So pretty, beautiful colors! Wow!! Fabulous cards!! Esp the coffee card!! Really great cards. I love the hearts and ‘Love U’. Thanks for sharing. Fantastic cards! I really adore your first card, it is so simple but beautiful and sweet too, I love your design. I live the simplicity of your pretty cards. Love your CAS cards with this beautiful new release ! Love how you made beautiful backgrounds with these tiny stamps ! thanks for sharing ! Great cards – especially like the coffee cup one! Super cute cards!! I love this release so many awesome goodies! I love the stamp sets you designed. I really like simple cards so your heart card speaks to me! Congratulations on the release of your stamp designs – brilliant! Thanks for sharing your fab cards. I particularly like the first card – clean, simple and lovely. Love the versatility of your new Basic Borders set – so many uses! Fabulous cards, love your background designs. Wonderful cards- love the clean and simple designs! I love the way you used the smaller planner stamps! This is very inspiring! Great cards. Such gorgeous cards! Love how you used them! How exciting to create some stamp sets of your own, congratulations Nicole! When I first saw your cards I thought I had the wrong blog post! No one used the stamps you did which is why. I like what you used. I love tiny hearts and I have a bag of them. Mine are shiny and shimmery but I love yours, especially the bright yellow ones. My mom is a coffee drinker and she has it almost every morning. I do know she loves my dad more then coffee though. I really like both cards and thank you for giving us a chance to win something! I love this new release. Your cards are lovely and fun. And I love the florals in the release too. Just wonderful. What a fun release! I am not into coffee, but if I was, I would totally love receiving that card. By the way, I think everyone I know has some type of cold. Mine keeps traveling! beautiful cards 🙂 such cute images on the new stamp sets, totally loving them ! How awesome, to have the stamps you designed published! They look great! Congratulations. So excited for these stamps. I just got my first planner ever and these stamps are just perfect!!! Can’t wait to get them!!!! Awesome way to make your own background. The hearts are fantastic-right side up and upside down. I love the coffee card!! Such cute cards. Congratulations on your new designs, they are just perfect for my new planner! Nice use of small images, something I struggle with. The Altenew release is beautiful! Congrats on your first stamps! Yes! Those background stamps with the borders are PERFECT for planners. Stickers can make my planner too heavy at the rate I am going. I have an 18-month one, but may have to start taking a few months out. I love that I can use these stamps as backgrounds as well for cards and pocket pages. Brilliant! Altenew always has great products, and this release is no exception! A clever use of the stamps, and I love the coffee sentiment. I shared it right away with a dear cardmaking and coffee buddy of mine. Thanks for sharing with us and for participating in this great hop and giveaway. I love your stamping style! cute cards! simple and elegant! These are wonderful stamps and very nice cards. I love your style and cards! I am in love with the new ink colors and the Be Strong stamps. The coffee sentiment is just for me. Love it Nicole great job ! Your cards are awesome. Love the coffee cups!! Wow your cards are all amzing, your coloring. Thanks for sharing! Great cards, Nicole. Such creative use of simple stamps! Thanks for the inspiration. Love your style – beautiful cards. Thanks for sharing. Congrats on the stamps. They are full of fun. Thanks for sharing. I love the CAS look, just fabulous dorks of art! I’m so excited about the Basic Borders stamps set. I’ve been looking for border stamps for a while, and this is perfect. Love your cards and how you used the small stamps. Such fun layouts great job! I love these cards. They are so different from the others I have seen in the blog hop so far. The hearts are fantastic. I absolutely love the simplicity of your cards. The love card is right up my alley. thank you so much for sharing! Love clean and simple cards. These are so cute. Very cute cards! Love the coffee one. I love your clean and simple design style, it really creates a fabulous visual impact and draws attention to the awesome sentiment. Nicely done! Wonderful cards! Thank you for sharing. How cute your cards are great for 2/14!!! Your blog is very nice will be back! Thank you for sharing!!! I’m so excited about these tiny (to me) stamps. I think you showed that they can be versatile the same as bigger stamps. These products ROCK! I love Altenew—they definitely take my card making to a new level! Gorgeous cards! Love your unique style! Thanks for sharing. Very cute cards! Aren’t small stamps great?! Great stamp sets & fun cards!! 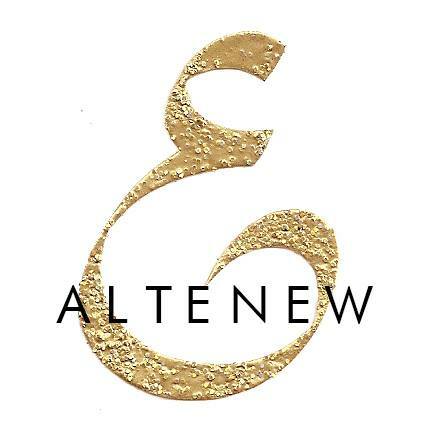 I love all things Altenew! CAS is my style too and love this card!